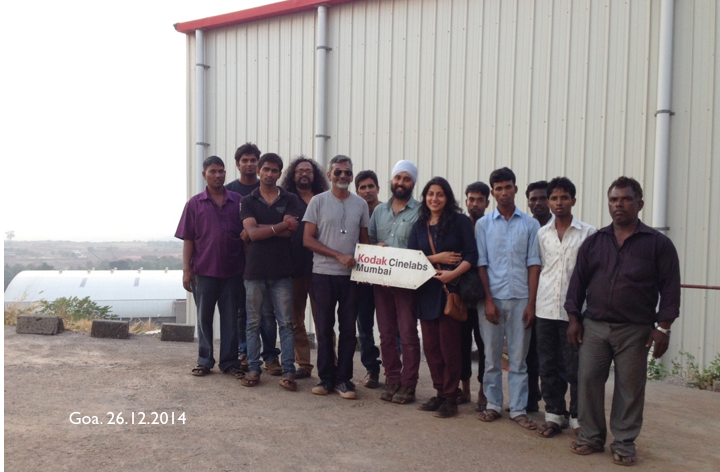 On Christmas Eve last year, The Celluloid Project was born saving the equipment from Kodak Cinelabs Mumbai, a KODAK IMAGECARE Program accredited laboratory, from being scrapped. The initiators of this project are Mumbai based film director, Shikha Makan and founder of Goa CAP (Centre for Alternative Photography), Pa. Madhavan. After learning of the shock decision to stop processing negatives in the Mumbai lab, which would completely cease analogue services just two months later, Makan set about finding a way to save this equipment to ensure the future of a medium that is favoured and used by many directors in India. After frantically writing to many for help, she eventually heard back from Madhavan who, without hesitating, agreed that Goa CAP would take Kodak Cinelabs’ equipment. The pair then had ten days to convince Kodak Cinelabs Mumbai to donate the equipment and to raise the funds to remove and transport it hundreds of kilometres from Mumbai to Goa. Just when it looked like an impossibility, they received financial backing from several sources in the final 48 hours meaning that they could save the Photomec 35mm and 16mm Color Processing machine with all ancillary equipment, silver recovery plant, ultrasonic cleaning machine, and additional accessories. The equipment arrived safely in Goa at the end of last year and ambitious plans are being forged to create an educational institute, a cultural centre and service oriented support for analogue cinematography all under one roof. Makan and Madhavan recognise the potential for the lab within India’s huge film industry and a growing student following who are turning to analogue processes to shoot their photographs or moving pictures. This lab will be only one of a handful of labs in South Asia offering services for photochemical film.